KONAMI has held a special livestream announcing The 8th KAC, detailing the event with the current participating games, info about signup entry, and the qualifier songs for each game. 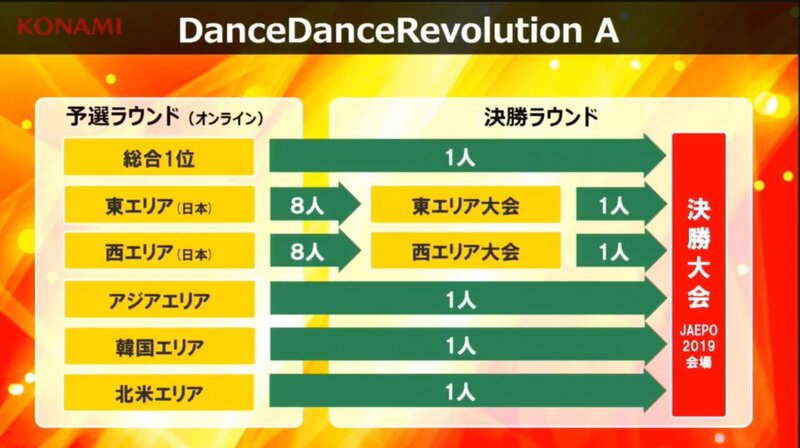 For official information about signups and rules for DDR A, visit the The 8th KAC website. 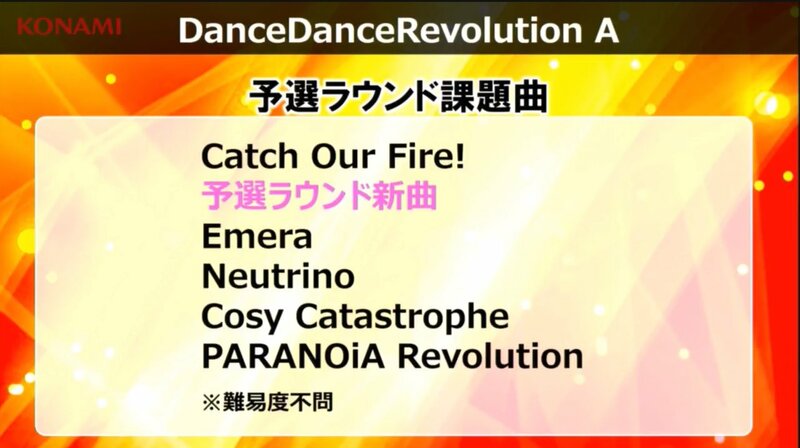 This year’s KAC “preliminary round” songs are Catch Our Fire!, First Time, Emera, Neutrino, Cosy Catastrophe, and PARANOiA Revolution. Catch Our Fire! 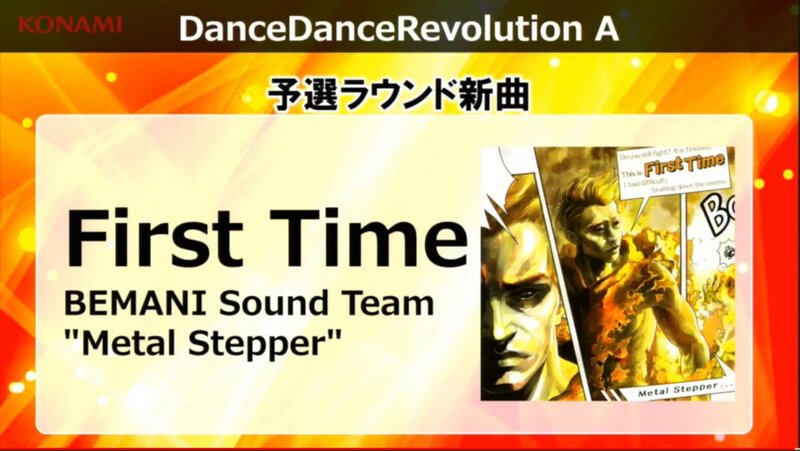 is a new song by Yuki Nakashima that will be featured in every KAC participating game, and First Time by BEMANI Sound Team “Metal Stepper” is a new DDR A-specific song. A significant change to the qualifying period this year compared to the previous years is that the qualifiers can be played at any time during a game instead of having to play each song as a group within the same set. Your combined total EX scores for each song will be your final qualifier score. The player with the top qualifier score will advance to the 8th KAC Finals at JAEPO 2019 on Sunday, January 27, 2019. First place qualifiers of the “Asia”, South Korea, and North America regions will advance to the finals. Top 8 qualifiers of East Japan and top 8 qualifiers of West Japan will compete in an “Area Competition” and the winner of each region will advance to the finals. The final round will have 6 total players.